Italian Ways: On and off the Rails from Milan to Palermo, to give its full title, is a journey around Italy via rail. Tim Parks 30 years of travel stories provide entertaining insight into Italian culture. This is why it has been nominated during our Italian Book Week, vote for the winner (here) for the chance to win a copy from the shortlist. To get to know a country and its people, you need to spend a lot of time with them and do so naturally. Tim Parks draws from the past 30 years of living in Italy. Italian Ways summarises what it means to be Italian perfectly. Countless train journeys provide snapshots for Parks to comment on. From daily commutes to longer weekend escapes, this book describes Italy through its relationship to its railway system. Seen as a unifying force, Italy’s rail network is almost a social service, providing cheap tickets and a lifeline to many Italians who cant bear to leave their hometown and so rely on commuter trains to go to work. Often, services in parts of Europe are regarded as “slow” because they are run by lazy locals. This is somewhat washed away as tales of ticket inspectors chatting to customers about family life and sharing personal stories reflect a much closer knit society than our own. Perhaps the Italian pace is slower, but nicer. This is equally balanced by humorous tales of screaming matches between passengers and the prevalent use of “soppresso” after long announcements of destinations. “Soppresso” meaning ‘this does not apply to today – these trains will not run” Disorganised, chaotic and unreliable – we begin to draw parallels to our own society at home. That is up until Park turns his attention to southern Italy, as the book becomes more romantic. Gone are vast warehouses dedicated to stereotypical Italian exports, the south brings antiquated rail carriages and stuning coastal Vistas which aid the love affair. Services still operate cabin seating and windows which open to allow the bright orange curtains to cast out into the Italian sunshine. These also facilitate conversation instead of awkward silence, through this Parks truly gets to hear what Italians are thinking and can get to grips with some of their odd mannerisms. A love-hate relationship story, Italian Ways is a humours and almost educational tale of what it means to be Italian. 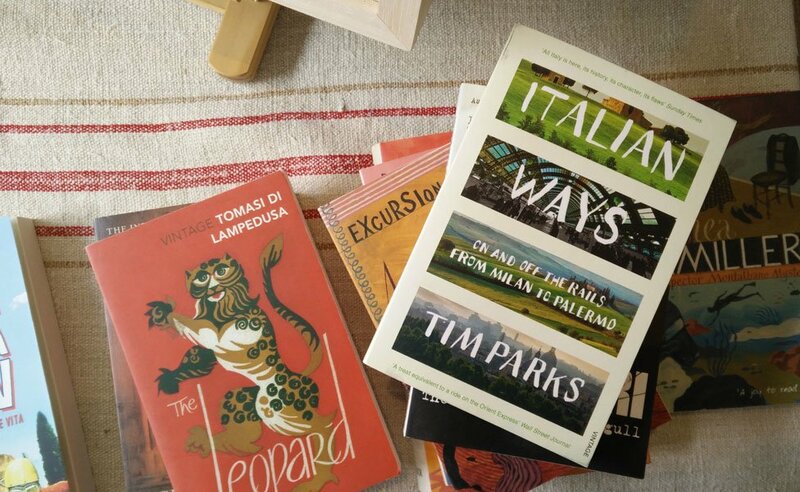 It makes great reading for those planning their next trip or for those currently exploring the country, Tim Parks is not seduced into depicting an idyllic lifestyle in the Mediterranean, his experiences in Italy have allowed him to become almost native, providing a realistic narrative. Alongside this, his inescapable British nature and habits are exactly the reason Parks is able to provide such an entertaining and understandable analysis of what is different about Italians.